If you need a security booth, you’re not taking safety lightly, so why would you buy a product that does? When you make your investment, make sure that it can withstand even the most extreme situations by choosing to install a ballistic guard booth. 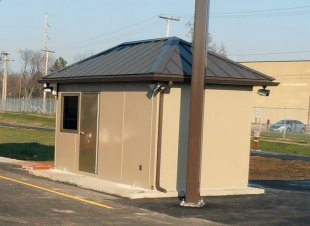 Maybe you’re wondering about the uses of a blast resistant guard booth – would you really need one? Maybe you’re wondering why we at Panel Built claim to have the best guard booths around. Whatever you’re wondering, we have the answer to all of your guard booth questions; let’s start addressing them now. What Is a Ballistic Guard Booth? What’s It Made Of? A guard booth is easy enough to explain, but what is a ballistic guard booth? By definition, a ballistic guard booth is a security guard shack that’s built to withstand bullets and blasts. Sounds pretty serious, right? Well, it is. The ballistic guard booth is nothing to scoff at, and will keep guards safe in even the most dire situations. Our ballistic booths are made from carbon steel or stainless steel to ensure the safety of the guard on the interior. These materials are top notch, durable, and extremely low maintenance, making them efficient solutions in every scenario. Where Would I Actually Use One? Our ballistic guard booths are built to comply with all ADA requirements, and have special security features that customize the booth to location requirements while keeping officers comfortable and as safe as possible within the guard booth. Obviously, the ballistic construction is built with high-risk environments in mind – like jail yards, or military bases. However, it’s never a bad idea to elevate security measures whenever you can, high risk or not. Keep in mind that our ballistic rated booths are really just a feature of an existing product that is incorporated for an additional cost, not a separate product all together. Each and every booth boasts maximum comfort, utility and visibility, with customizable levels of security that can be incorporated. Our thought? Why not keep all guard houses ballistic rated? These days, danger truly does lurk around every corner; so, though the guard house at the front of the gated community may not be a high risk for open fire, it’s never a bad idea to be readily equipped to keep officers and community members safe by keeping the facility blast resistant. we pride ourselves on finding creative solutions for every storage, space, or security problem. When it comes to selecting a blast resistant guard house to meet your needs, you can be sure that we – the experts at Panel Built – have just the one for you. 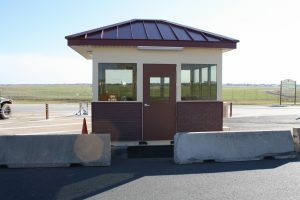 If you’re considering a guard booth, the last thing you want to do is make a half-hearted selection that leaves you feeling frustrated with its incompatibility in regards to its primary use. You also don’t want to halfway invest in a product that won’t be as safe as possible in every circumstance. Where does that leave you? There’s absolutely no harm in asking questions about the best guard booth choice for your purposes – questions will lead you in making the best possible decision, and that’s why we are there to answer each and every question you have. Founded in 1995, we are a world class manufacturer of modular offices, pre-fabricated buildings and steel mezzanines. We believe in 100 percent customer satisfaction, listening to customer needs, and providing creative solutions within each budget. 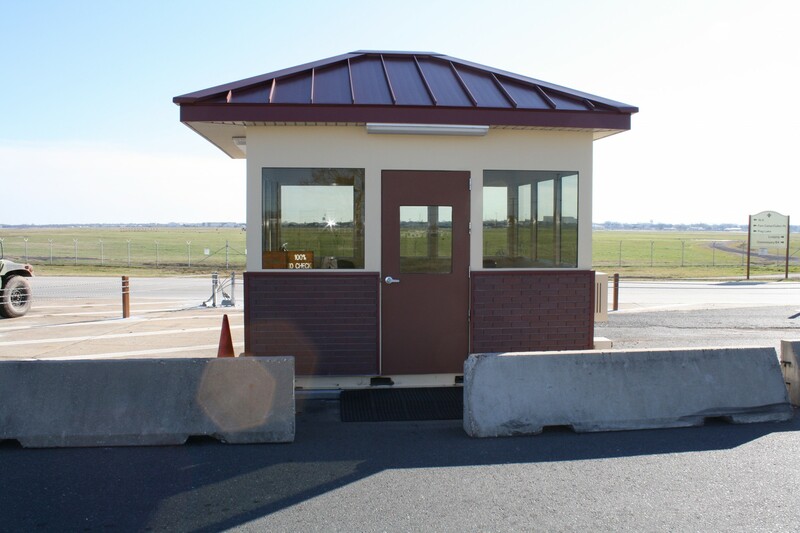 In fact, we can build a customized guard house just to meet your specialized needs – ballistic rated or not. Lastly, know that when you choose to purchase a blast resistant guard shack from Panel Built, you can rest assured that each product is of the utmost strength and durability, and that all building code, military specification, and OSHA requirements will be met. Simply stated, safety is of the utmost importance, and something that we do not take lightly. When you need a blast resistant guard house for your property, you can’t go wrong with Panel Built Incorporated.